Do you love old suitcases but don't know what to do with them? Here is a cute and easy idea for a craft show display. Or for even just decorating in and around you country home. 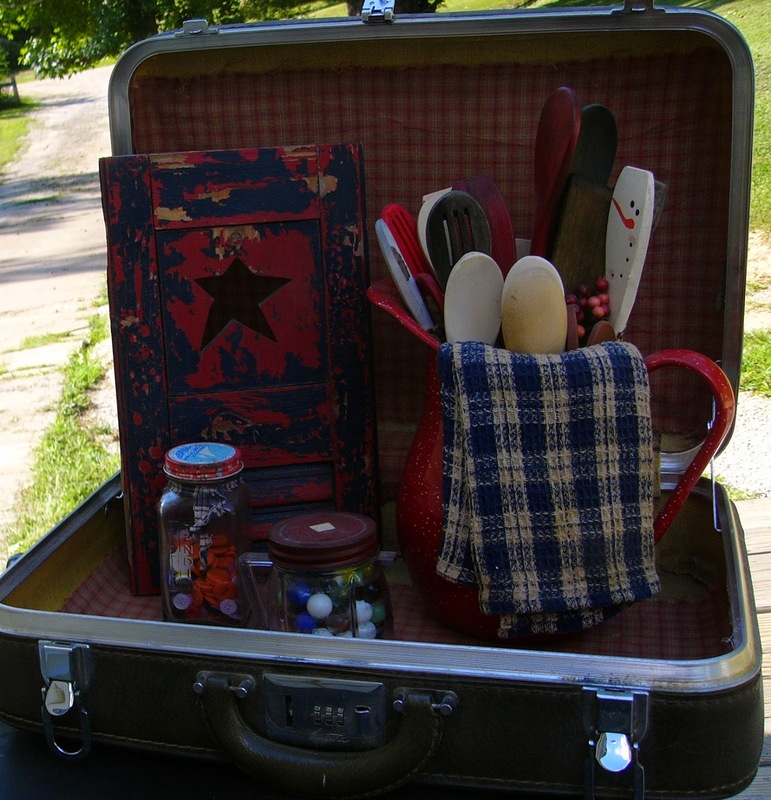 Find (at flea markets or such) or dig out an old suitcase you may have. Cut a piece of fabric that will fit the inside liner. (It doesn't have to be perfect, look close at my photo, I almost ran out on the bottom, but it still works. Then just take some glue, (I used Martha Steward NO SEW fabric glue) but you could easily use a hot glue gun also, and glue the fabric directly to the liner. Let it dry and decorate! That's it. So simple yet so cute. An old stack of books with old reading glasses laying inside would look awesome in a living room as a cute set up. Hi there! Do you use Twitter? I'd like to follow you if that would bee ok.